Harry Hole is back and this time he's back from very, very far away. Another gripping instalment in this prize-winning and acclaimed series by the internationally n°1 bestselling crime writer in Norway. Two women are found murdered in Oslo - both of them have drowned in their own blood. 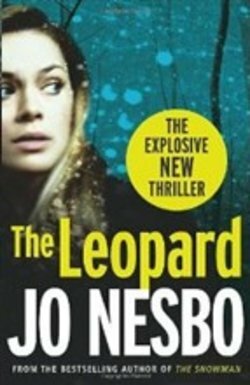 Dopo aver letto il libro The Leopard di Jo Nesbo ti invitiamo a lasciarci una Recensione qui sotto: sarà utile agli utenti che non abbiano ancora letto questo libro e che vogliano avere delle opinioni altrui. L’opinione su di un libro è molto soggettiva e per questo leggere eventuali recensioni negative non ci dovrà frenare dall’acquisto, anzi dovrà spingerci ad acquistare il libro in fretta per poter dire la nostra ed eventualmente smentire quanto commentato da altri, contribuendo ad arricchire più possibile i commenti e dare sempre più spunti di confronto al pubblico online. Harry is an alcoholic solitary man, who retired in Hong Kong to wash away his memories. He has endangered the woman he loves to solve his last case. Returning to Oslo two women are found with the same twenty-four wounds in the mouth.Harry finds a link between the victims... and the hunt of the "Leopard" begins.